One of my goals this year is to be more intentional with each book launch. A nice part of being an indie author is that you can do a “soft launch,” which means you hit the Publish button on Amazon, then send a note to your email list about the new book and move on to write the next one. It’s nice to have that flexibility, but honestly, it’s effective only in maintaining a ho-hum writing career. This entry was posted in book launch, book promotion, bookbub, email list, Launch Plan, launch team, pre-order and tagged book launch, book promotion, bookbub, email list, Launch Plan, launch team, new release, pre-order. To help me better tailor my blog posts and free marketing tools, I need to hear from you! What do YOU want to know to kickstart your next book release? Click HERE to share your answers, and THANK YOU! This entry was posted in bestseller list, book launch, book promotion and tagged book launch, book promotion, new release. Are you releasing a new book into the world? 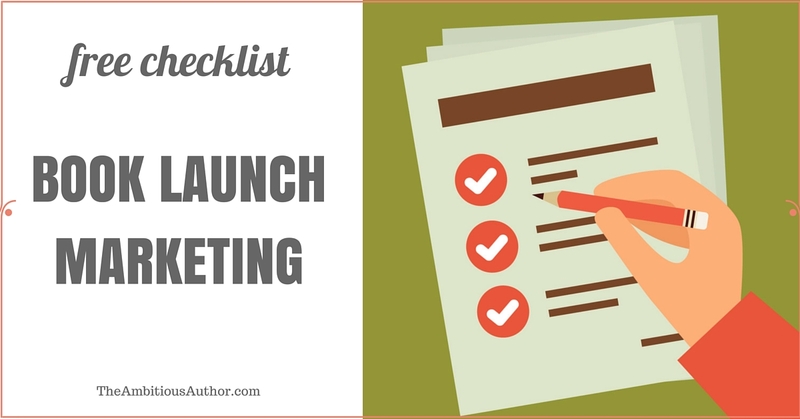 I talk with so many authors in this position, who are drowning in book marketing advice and just want a simple step-by-step list of what to do to launch the new book properly. In response to this, I created a simple checklist for a new book launch with “required tasks” (such as adding the book to your Amazon Author Profile) marked separately from “optional tasks” (like a blog tour). Feel free to use and share it with other authors preparing to launch their latest book baby! This entry was posted in book launch, book promotion, email distribution, email list, Facebook, paid advertising, pre-order and tagged book promotion, email distribution, marketing, new release, pre-order.